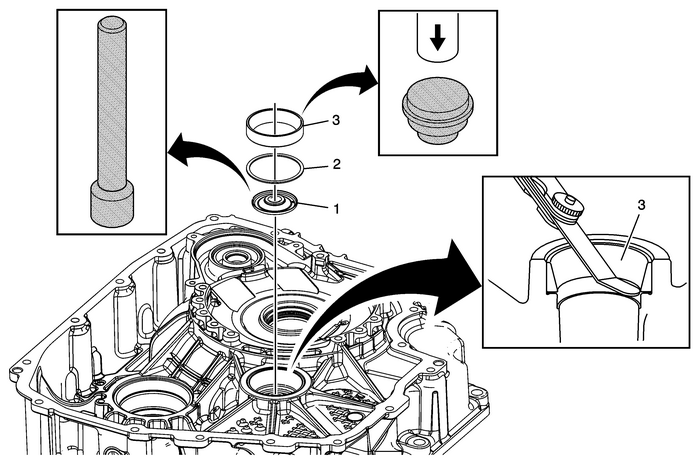 Do not install the bearing cup until after the selective washer measurement has beenperformed. 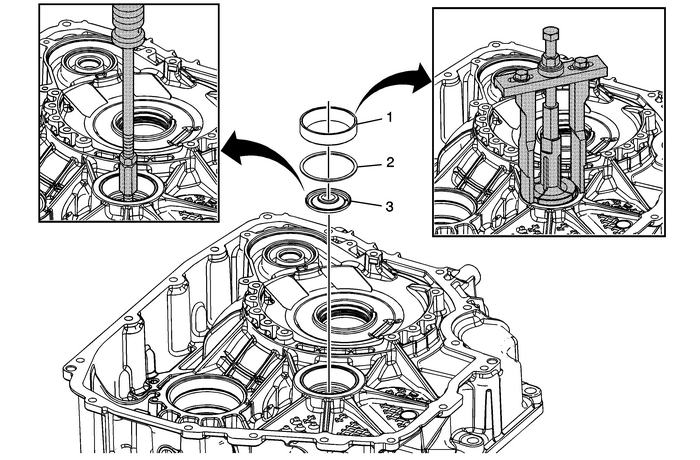 Note:Install the correct drive pinion gear bearing thrust washer as determined by the thrustwasher measurement procedure. Refer toFront Differential Drive Pinion Gear Bearing Thrust Washer and Front DifferentialBearing Washer Measurement. Caution:Support the back side of the torque converter housing beforeinstalling the bearing cup. Apply a light coating of transmissionfluid to the bore before pressing the cup into position. Installthe bearing cup until it stops moving. Applying excessive pressureto the bearing cup once it is seated could cause damage to thetorque converter housing casting. Caution:An unseated or improperly installed bearing cup will resultin premature bearing failure. Visually inspect the bearing cup toinsure there is“no gap” between the converterhousing, thrust washer, and the bearing cup. Use of a feeler gaugemay assist in identifying a bearing cup that is not fullyseated.